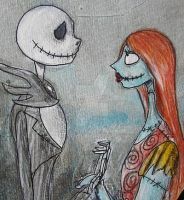 My fiance and I went through many pictures of jack and sally for our tattoo and we could not find any.. until we seen yours. (: We both got a tattoo of your painting on our right upper arm and I'm really hoping to add more. I am eventually wanting to get a half sleeve of The Nightmare Before Christmas but I really want to stick with your design so I was wondering if at all possible you could design some more characters from the movie that i could use to add on to my arm. I would greatly appreciate it! this is one of my favorite movies ever!!!!! I'm lucky enough to own this piece. Would love to add more to my collection soon. With wich colours you are drawing? Wow! This is really well done! Splendid! 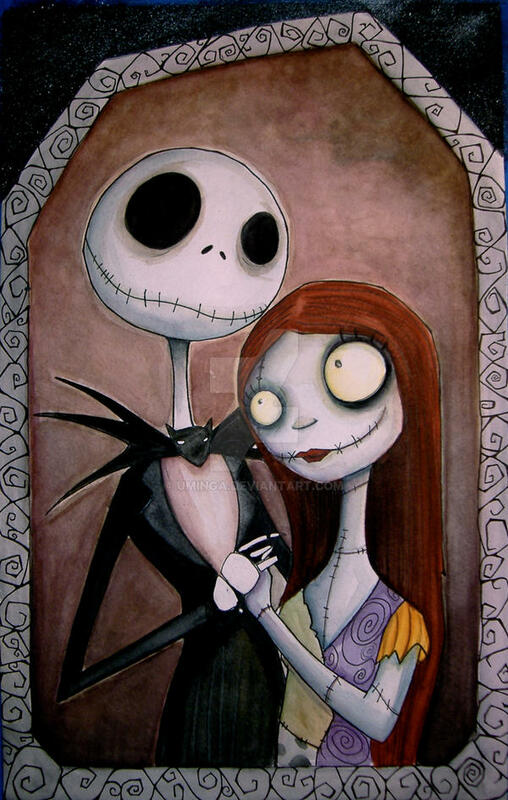 Hey is it alright if I use this picture for my JackXSally video I'm doing for YouTube and the nightmare website? Verrrry nice. Your lines and color are both totally amazing and fit together perfectly. I'm especially fond of the little skeleton hand for some reason. You've done the stitching line really well! I love it!!! You're my new favorite painter!! SO GOOOD!!! ur so good at painting it's amazing!! and ur work is so ORGIINAL!! 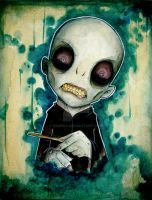 I love this, your style complements Burton's so well that it's mind-boggling. What a lovely style you have. Your whole gallery inspires feelings of fuzzyness. So gorgeous! You retained the style very well! You still manage to keep the Nightmare Before Christmas charm while expressing it through your style!! I bow down before your watercolor skillz. 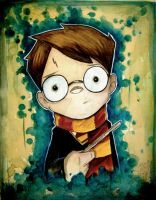 awesome painting! i love so much that movie! Very true to the movie.